I know I said I'd only buy three but... it multiplied after the string of events and I ended up with 20. Yep, those are 20 books right there, which is more than half the book pile I accumulated and required myself to read prior to buying another book. Let me try to get the stories on how I ended up with such a book pile. ** Insectissimo caught me at the turntable while Displaced seemed familiar but I have no recollection of reading it. *** Apparently, my sister has a copy of Displaced which I saw when I was attempting to make spine poetry. * I was there when the doors opened for MIBF on September 15 because of the book signing for Melissa de la Cruz, Alyson noel, and Margaret Stohl. The event started at around 10:30am so I decided to stick around. ** They were having games and giveaways via raffle/drawing lots. I was called to join their first game - a puzzle game. I finished my puzzle first (even with a missing piece). They gave me these books. I screamed for joy. God, thank You. *** My brother said the Amulet series is nice. Haven't had the chance to read it yet. * I bought these to have it signed. ** I bought three of my current books of Melissa de la Cruz and promised a friend to have her Alyson Noel book signed so I only bought two. * ... I ended up buying more books. ** These are from Fully Booked. They had a 20% off sale and a free bag to come along with it. These were only for P800. A bargain! ** I ended up buying these after returning to buy a bag for my sister. They are honestly cheaper than back here in Manila. So far, I've started on the Lloyd Jones novel today and Insectissimo the other day. The latter gave me a headache while the former is tickling my curiosity. I better not hoard books on October. I MUST NOT HOARD. October is my shelf cleaning month too. I might post photos of my books here. The Third Filipino Reader Con on November 9! I was looking around Twitter and saw one of the Filipino book blogs I follow (Meann from The Girl Who Read and Other Stories) post about the Filipino Reader Con. It's basically an event celebrating the Filipino Readers' Choice Awards. It is an awarding ceremony that gives the authors the right to put their seal (symbolizing that their book is the top pick) on their books. I find this really really cool. I didn't know there was something like these. I was not a fan of Filipino novels until I started in college. I've read a couple of novels since then and found personal faves... which I plan on writing about but life isn't cooperating right now. So far, there's no location stated on the site but the 2012 Filipino Reader Con was held at the Filipinas Heritage Library. I'll keep everyone posted on this. Mark your calendars! It's on September 11 to 15 and will be held at the SMX Convention Center at the Mall of Asia Complex in Pasay City. 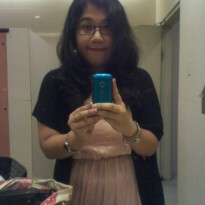 I might attend on the 15th so that I can go to the book signing and the anime convention (Best of Anime) while waiting. Yay, right? Yay! I Won Another Giveaway! 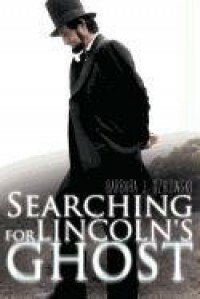 I won Barbara Dzikowski's novel, Searching for Lincoln's Ghost here on BookLikes. (Yay!) I have yet to read the first ebook I won, though. Here is a once in a lifetime opportunity! Meet not one, not two but three New York Times bestselling authors! 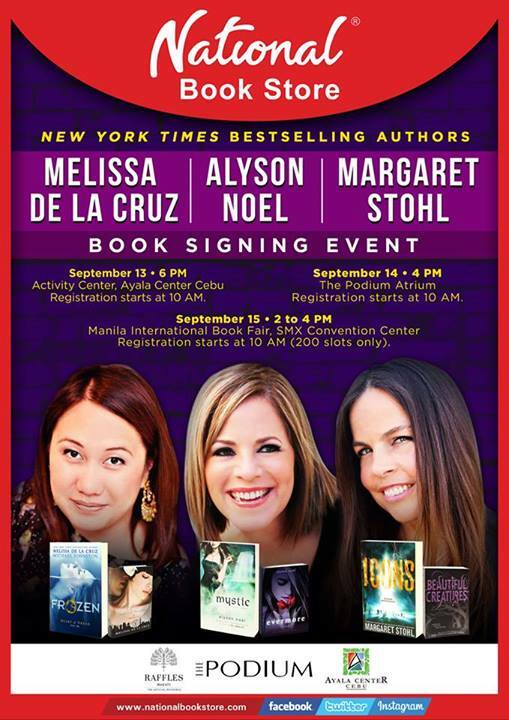 Join Melissa de la Cruz, Alyson Noel and Margaret Stohl for book signing events on September 13 at 6 pm in the Activity Center of Ayala Center Cebu, on September 14 at 4 pm in The Podium Atrium and on September 15 at 2 pm in the National Book Store booth at the Manila International Book Fair. This event is made possible in partnership with Raffles Makati, The Podium and Ayala Center Cebu. Stay tuned for more details of the book signing events. This is the second Book vs Movie post by Breathing Pages (Anj) for Memoirs of a Geisha by Arthur Golden (ISBN 0-679-78158-7), Vintage Contemporaries version. In the second post, I would like to talk about a character who apparently plays somewhat a big role in Chiyo's life: Mr. Tanaka Ichiro. In the movie, Mr. Tanaka was barely shown. We can hear his voice in the first act. He speaks with Chiyo's and Satsu's father in Japanese and takes the girls away from their house. He is also in the railway scene, giving the girls in the care of Mr. Bekku. But in the book, Mr. Tanaka has a deeper connection to Chiyo. She saw him as an easy way out in the life of a poor fisherman's daughter given that he is the owner of the Japan Coastal Seafood Corporation. He also helps Chiyo in small ways like giving Chinese herbs for her mother (p19) and letting her and Satsu say at his house with his own daughter (starts at p21). His instrumentality in Chiyo and Satsu being sent to Kyoto has been given more description in the novel such as going to a woman, Mrs. Fidget who checked the girls' bodies (p24) but unlike in the movie, Chiyo and Satsu were told to see Mr. Tanaka in the village. The movie showed Chiyo and Satsu being taken away, as if it is done by force. In my opinion, I think the movie showed us what happened in the first three chapters concisely, as if it's done in bullet points. I appreciated the details because the first chapters contained a lot of foreshadowing and had a lot of colorful details about Chiyo's and Satsu's life before Gion. I shall talk about Satsu next. Lucy of Fully Booked Turns 3, Sets Blind Dates with Books! The contest states that fans should tweet Lucy for book suggestions in order to win one of the 16 books which are covered and only differentiated by the number on their spine and short descriptions about the story. The contest will end on the 25th so many fans are tweeting away! Thanks, Lucy, for setting this up! The idea of blind book dates started in a book shop in the US. "Don't judge a book by its cover," it says. Honestly, I have always wanted to try going on a blind date with a book. I always find the most interesting books in the bargain section and I think this "blind date" idea is a more creative way of searching for new great books. 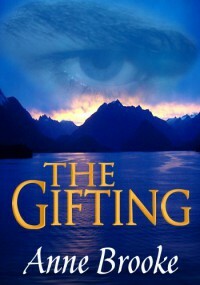 I just won an e-book of The Gifting by Anne Brooke. Yay for me~ I'm going to start reading it next month for sure. Anyway, someone FINALLY made a Facebook group for books! It's called Manila Book Exchange. I saw it on my wall (because I am a part of the group Philippine Book Lovers) and immediately joined this one. This is the first Book vs Movie post by Breathing Pages (Anj). Yay! 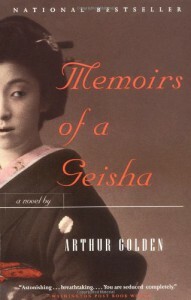 I am currently reading Memoirs of a Geisha by Arthur Golden (ISBN 0-679-78158-7). I have the Vintage Contemporaries version and not the movie tie-up version. On page 14 of this novel, Sayuri, the narrator, says, "All at once he caught sight of my gray eyes..."
Sayuri, in the movie version, has light blue eyes. Whoa..? *Note: Image is from MoviePosters.com. Not mine. Here's my two cents on the change in color. Her eyes are said be representative of her element, water. The color gray is associated more with metal rather than water. So, I think (no, it's not confirmed; it is my opinion) that they made it blue because blue is the color of water. When I first saw the movie, I honestly found it weird that she has blue eyes since she's Japanese. It looked so unnatural on Chiyo. I thought her mother must've been from a different country because her eyes were blue. She got everything from her father minus the eyes. (Hi Harry Potter!) Now that I read up until this part, I still don't know if the grayness of her eyes really matter in the novel so I can't really say that it would've been better if it were gray. New Blog Post Type from Yours Truly - Book vs Movie! 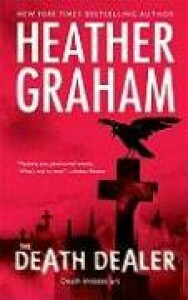 After that moment, I had an impulse to blog about it here in BookLikes. I thought that it would be nice to share what elements were different from the movie. Of course, there are books-turned-movies that had their plot lines rearranged and/or shortened into the two to three hour time frame for a movie. I would write about random differences like, how in the book, it started with the author talking to Sayuri in America while in the movie, it started with Satsu and Chiyo being sent away from Yoroido. Of course, I would filter out things that would spoil either the movie or the novel. I would only share random differences and my opinions (nope, not facts) about the difference. Oh boy, this ought to be fun! 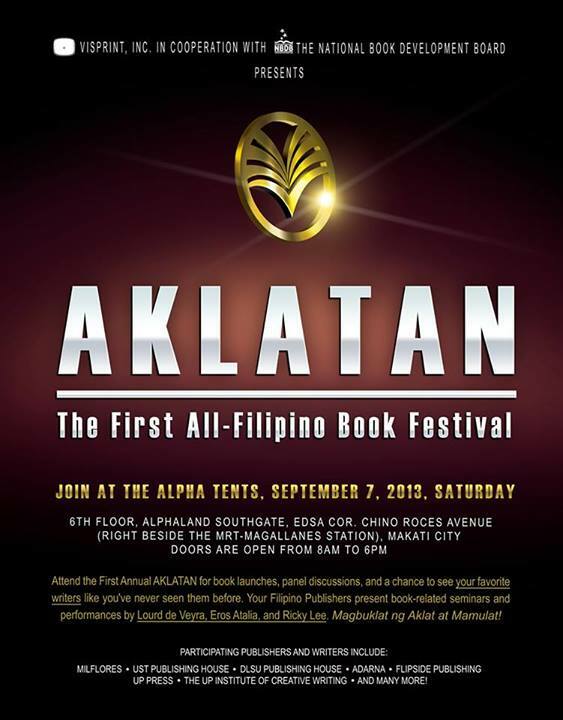 BookLikes Added a Feature + Fully Booked - The Fort Sale! This is cool, yo! 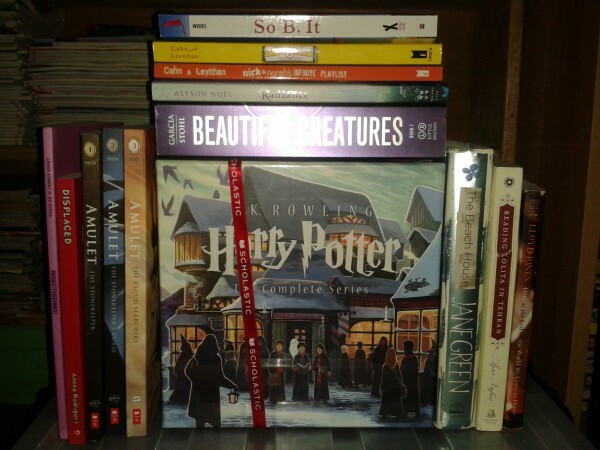 BookLikes has a 2013 reading challenge counter now! I posted 60 books because i aim to read five books per month due to my book buying ban. I had roughly forty books lying on my shelf in the past three years and now, I'm down to my last three. Say it with me. THREEEEE. If I keep up my current rate, the ban is going to be over this month and I'll be able to read more new books by next month, starting with the Keira Cass book signing event next month. SEGUE: Apparently, there's an earlier book signing event hosted by National Bookstore in their Glorietta branch at the end of the month. It's Marivi Soliven's The Mango Bride book signing event. I heard this book is rather interesting, very Filipino. I'll need to post the first 30-something books I read this year so that the counter's accurate. Hurrderp. Anyway, I am very excited to buy books of my own right now. One of the major bookstores in the Philippines, Fully Booked, has a sale in their Fort branch moment. I am a self-acclaimed book hunter. (I like book sales and hunt down bargain books that seem interesting even with unknown writers. I also hunt down books belonging to all of the various series I read. I find interesting books that way.) I like digging through piles and hoarding books. I had fun looking at the design books. The two beauty books were great finds as both were marked down by 80%. I wish I had more time to look for more. I'm sure there are more buried underneath. "Thing was, she didn't need rescuing. And she didn't want to need rescuing, either." Win a signed copy of Looking for Alaska from National Bookstore! National Bookstore is yet again releasing a copy of the book written and SIGNED by John Green through its Facebook page. Click on the link to see the Rafflecopter page and see how you can win this wonderful book!